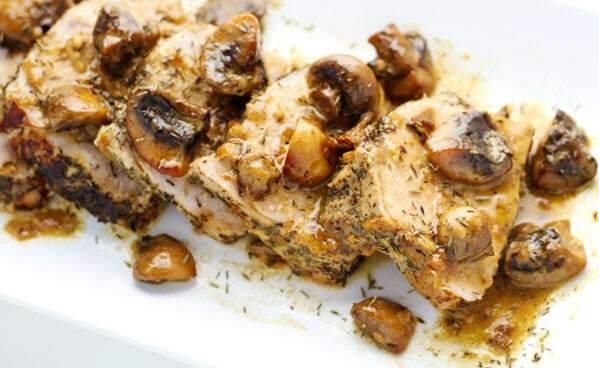 I first fell in love with Marsala when I made this Chicken Thighs Marsala dish awhile back. 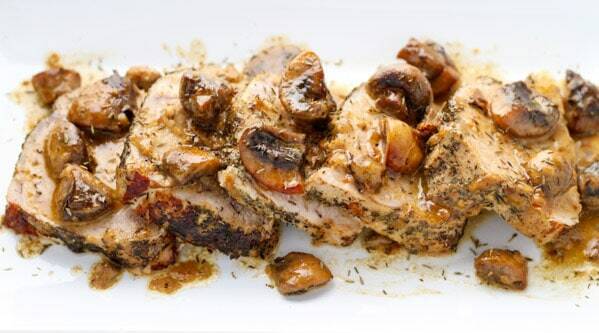 Using Marsala Wine with Chicken has always been super popular. But I was thinking, well if it’s good with Chicken, it’s probably just as good with Pork right?! Answer: Yeesssss! 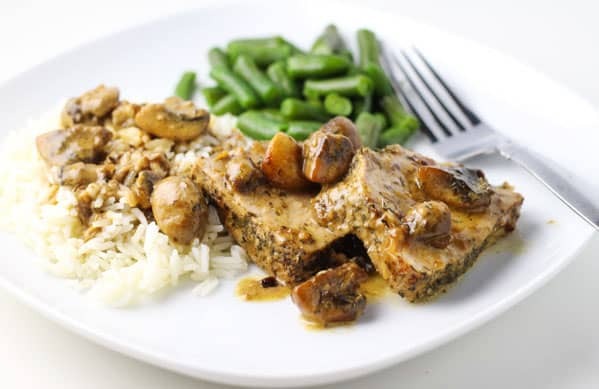 If you’re not familiar with Marsala Wine, it’s a dry or sweet Wine used for cooking that comes from the region surrounding the Italian city of Marsala in Sicily. So it became popular used in many Italian style dishes. I grew up in the 80s and I remember my mom would always be watching Julia Child’s cooking show on PBS. These are some of my fondest memories with my mom, she was an amazing cook as well. She had every Julia Child cookbook and would be in the kitchen preparing gourmet dishes all of the time. I only wish she would have been around longer so she could’ve taught me some of her mad cooking skills. Cancer took her way too early out of this world. I was only 12, so from then on I was basically on my own for learning how to cook. I’m certainly not trying to make this a sad post, in fact it’s more of a celebration of memories for me with my mom. I love her. 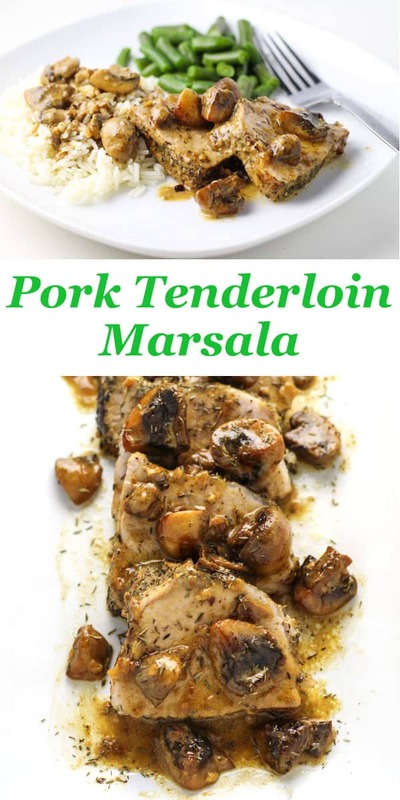 Now making this Pork Tenderloin Marsala was super easy. I used a 6 Quart Enameled Cast Iron Dutch Oven for this, because that way I only had to use one pan. If you don’t have a Dutch Oven, you can use a frying pan on the stovetop for the first part and then transfer it to a roasting pan before putting it in the oven. To make this, I first rubbed the Pork Tenderloin evenly with Thyme and Pepper. Add the Olive Oil to the bottom of your Dutch Oven and place the Pork Tenderloin in it. Heat over med/high heat cooking the Pork about 3 minutes on each side. Add the Butter, Garlic, and Shallots to the pan, sauté 1-2 minutes. 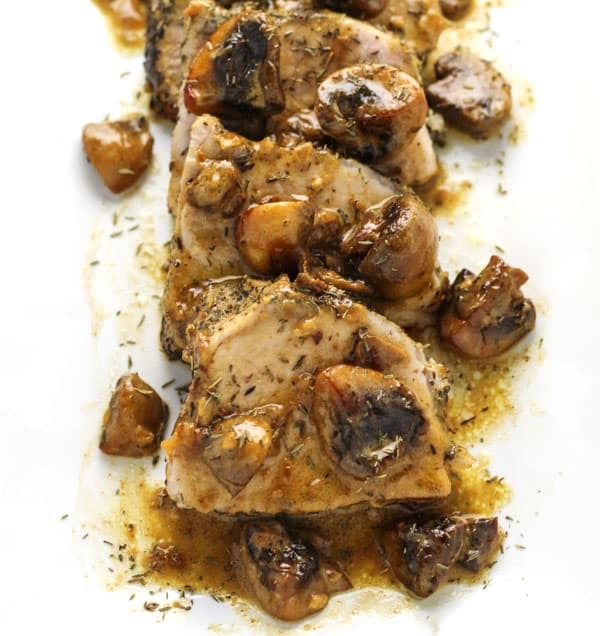 Add in the Mushrooms and sauté 2-3 minutes. Add in the Marsala Wine and sauté 2-3 minutes until the wine reduces. Add the Pork Tenderloin back into the Dutch Oven and turn it over coating all sides with the sauce. Cover and bake in the oven at 425 degrees for 25 minutes. Remove the cooked Pork Tenderloin and place on a platter to slice into thick pieces. If you try this let me know what you think by leaving a comment below, it’s super helpful to me and other readers! Rub Thyme and Pepper evenly over Pork Tenderloin. Add EVOO and Pork Tenderloin to 6 qt Dutch Oven. Heat on med/high over stovetop cooking the Pork 3 minutes on each side. Remove Pork and set aside. Add Butter, Garlic, and Shallots to Dutch Oven. Add Marsala Wine and saute 2-3 minutes until wine reduces. Add Pork back to Dutch Oven and turn it over coating all sides of the Pork with the sauce. LOVED this recipe!!!!! It’s soooo easy, quick, and delicious!!! Sara, thank you for sharing this wonderful recipe! I just made it tonight in my new cast iron dutch oven and it was so delicious! I’m so glad I found it! It’s going into my favorite recipe collection. I have been wanting to write you for the longest time! 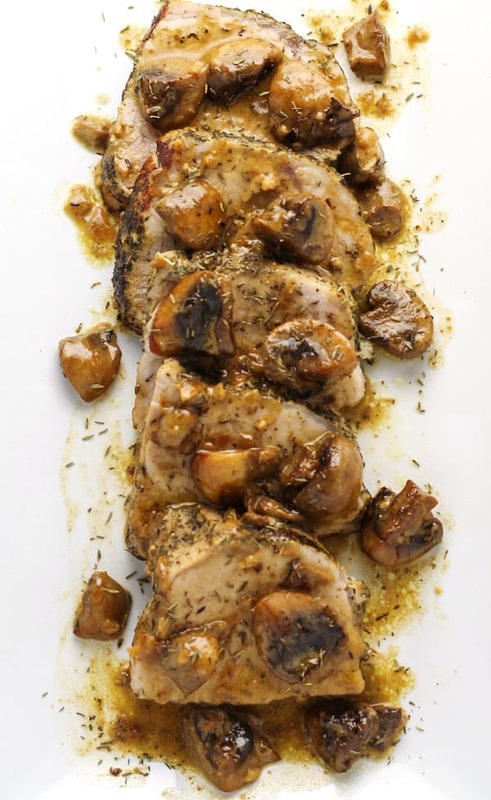 I’ve made the Pork Tenderloin Marsala twice so far, and plan to make it again for a birthday celebration in a couple of weeks. What a fabulous recipe…..and so easy! The presentation is beautiful, and the raves all belong to you! I loved reading your backstory. You’ll always carry those wonderful memories of your mom. She will inspire you to keep cooking and creating these wonderful recipes. Thank you again. Can I double this recipe with a 2 lb roast? Hi Andrea, Yes you certainly can!